Houston's mix of international appeal and Southern charm have captured the imagination of tastemakers the world over. 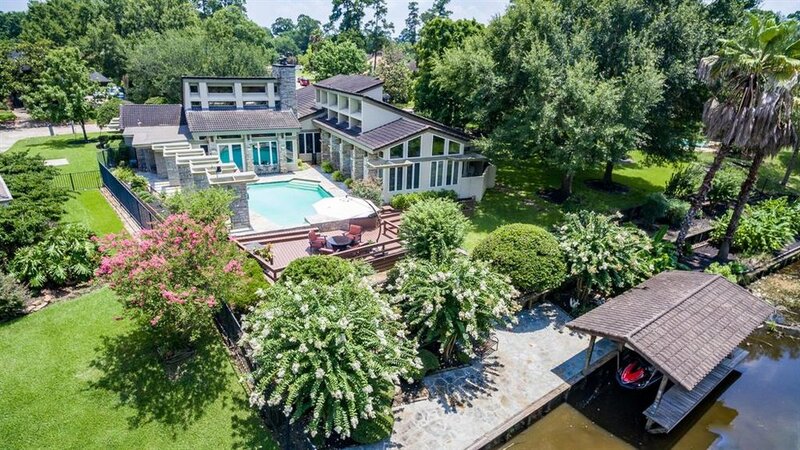 As the first master planned community in Houston, River Oaks became home to some of the wealthiest homeowners and grandest mansions in the state — even the whole country! River Oaks is a centrally located oasis with beautiful mansions, spacious lots, and topnotch security. One of the most well-known landmarks in the neighborhood is the River Oaks Theater, a gorgeous Art Deco theater that is also the oldest theater in Houston still being used for its original purpose. River Oaks still retains its grandeur to this day and has become a hotspot for good food, interesting activities and excellent shopping. The city of Humble is home to cozy suburban neighborhoods where there are plenty of choices to eat, play, and shop. Humble residents enjoy the peace and quiet living just a step away from the bustling city center without sacrificing the amenities that the big city has to offer. Humble’s friendly local community enjoys the city’s selection of excellent restaurants, fun parks, and great schools. With a lower cost of living and a richly diverse community, Humble is a great choice for those who would love a quieter life. Who needs to go to the big city when you have everything you need right at home? The Woodlands is practically a city in itself, so much so that its residents are finding fewer and fewer reasons to leave their little oasis. People who in The Woodlands can find anything they need within the 28,000 acres of forest preserve. From work opportunities to schools for their kids, places to shop and dine to places to worship or enjoy the culture, The Woodlands has it all. Katy has a huge land area, but neighborhoods in this place always exude a small town feel. Plenty of longtime Katy residents love the neighborhood’s tree-lined streets, multiple parks and playgrounds, and other amenities that promote family activities. Most Katy neighborhoods are master planned communities that are perfect for growing families. Katy is home to a fast-growing community and is continuously being developed as a great family-friendly suburb. Once a rural farm land, Cypress is now growing to be one of the largest suburban communities around with plenty of new single-family homes being built in the area. There are various housing options in Cypress in many styles and sizes and all of them are very reasonably priced. Cypress residents are never far from dining, shopping, and entertainment options including Golf Coast attractions, malls, parks, and a whole lot more. Cypress is also known for quality medical facilities including the North Cypress Medical Center and Cypress Fairbanks Medical Center. Sugar Land is a quickly growing city that is home to a good mix of wealthy homeowners and families who enjoy suburban living. The place got its name from being composed vastly of sugar plantations back in the day. Today, it’s a top location for raising kids in a quiet and comfortable location with great value homes. Sugar Land is also big into culture with lots of family-friendly events, amazing concerts, and excellent cultural venues. With its diverse community consistently ranking among the safest, cleanest, and fittest cities, Sugar Land is definitely a sweet place to live. From being made up of mostly rice fields way back then to housing a sprawling array of subdivisions, Pearland certainly went a long a way over the past few years. From 2000 to 2013, the city’s population went from 37,000 to 104,000, and it’s not hard to see why. 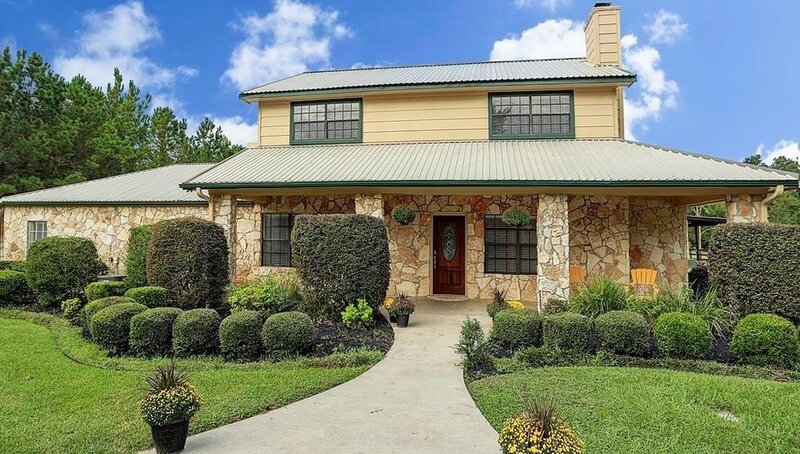 With solid school options and nicely sized houses at very affordable prices, Pearland became a very attractive choice for those looking for a new home in Houston. It’s becoming a legitimate job center too, and the diverse community is another major draw. As home to Rice University, dubbed Ivy League of the South, West University is one of the best places in Houston to raise kids. West University offers an interesting blend of Houston neighborhoods. From stately houses with manicured lawns and buildings covered in sprawling ivy to trendy shopping hubs and cute, cozy cafes, you can find your place in this neighborhood. It’s home to some of the best schools in the state and neighbors who love to to explore around town with their families. If you’re raising a family, you can’t get more kid-friendly than West U. Just north of the 610 loop lies the GOOF, or Garden Oaks/Oak Forest, a newly trendy area with a rapidly growing real estate demand. Garden Oaks offers slightly larger homes than Oak Forest, but the styles are largely similar: bungalows, ranch-style homes, and large brick houses. Of the two, Garden Oaks is the more developed area, but Oak Forest is not lagging far behind. The GOOF is home to a lot of creative types with its cozy wine bars, shabby chic gastropubs, and hip eating spots. Homes in the area sell like hotcakes with many young families attracted by its suburban feel and practical accessibility. Sharpstown had a bad rep a few years back, but the surge of newly built and affordable single-family homes in the area has drawn a lot of interest. 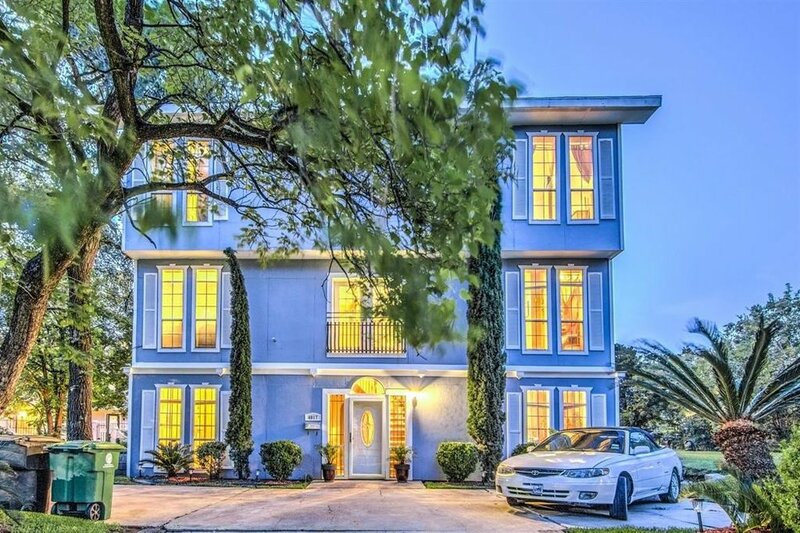 The Sharpstown community has also diversified and the continuing developments in the area, along with its proximity to Galleria, downtown, and the Med Center, means that Sharpstown is surely going through a resurgence. Chinatown is a huge draw for those who love to try new food and one more good reason to look into this up-and-coming (again) neighborhood. A master-planned suburb with a small-town feel, Clear Lake is a neighborhood that offers a nice retreat for empty nesters. With its proximity to the actual Clear Lake, it’s tight-knit community of mostly empty nesters find it quick and easy to go sailing across the waters and enjoying the sun and some fresh seafood to boot. The trails of the Armand Bayou Nature Center is another excellent refuge for nature lovers in the area. Another big draw? Clear Lake is only 25 minutes away from downtown Houston. For many first-time buyers and young professionals, the affordable, nicely sized homes in Spring Branch and the familiar city feel of the neighborhood are a wonderful fit for their young and active lifestyle. The lovely mix of mid-century ranch-style homes and modern houses give Spring Branch a unique atmosphere where old-timers and new residents enjoy the conveniences of life in the city without sacrificing the size of their homes and their budgets. Nostalgic ‘50s-style storefronts and a great selection of eats complete the charm of this great neighborhood. Historic East End will always have its special place in Houston’s history, but modern developments that improve accessibility in the area are paving the way to a booming community. East End is home to some of the oldest Latino neighborhoods in the state, Magnolia Park and Second Ward, along with a diverse mix of races. This gives the area a great mix of culture and cuisine which are both pluses in attracting new home seekers. East End homes largely favor 20th century styles including Craftsman and Mission architecture, but there are also plenty of contemporary homes being built in the area. With easy access to the Museum of Fine Arts, Houston, not to mention a host of other excellent museums, the Museum District easily lives up to being dubbed as Houston’s cultural heart. It’s nicely located just southwest of downtown so residents can easily shop, dine, and drink to their heart’s content and still be back to their quiet, residential area in no time. When you live in the Museum District, you will never run out of interesting things to see and do. With its tree-lined streets, plentiful jogging trails and parks, and culture-filled neighborhood, it’s not surprising to see properties in the area selling like hotcakes even at hefty prices. Many Houstonians say that Montrose isn’t as offbeat and gay as it used to be. But for all the new mainstream shops and cafes that cropped up, Montrose still has that distinctly quirky and LGBTQ-friendly vibe that it has become famous for. With an assortment of top art galleries, artsy dining and drinking spots, and the notable Menil Collection in the neighborhood, Montrose still exudes a character unique to the area. Homes in Montrose fall into the same eclectic mix, from garage apartments to restored mansions, historic duplexes to modern condos. There’s a home in Montrose for any character. With its proximity to Galveston and other major metropolitan areas like Dallas, San Antonio, and Austin, Spring is a wonderful place to live for those who love to go away on the weekends. Boarding a cruise ship from Galveston is just an hour and a half drive from Spring, and driving to other interesting neighborhoods in Houston is just as quick. Affordable housing, a diverse community, and laidback lifestyle with easy access to cosmopolitan living are the major selling points of living in Spring. One of the fastest growing neighborhoods in Houston, Conroe is a nice, medium-sized town that is perfect for families. Living in Conroe is pretty peaceful and families have plenty of choices for schools and activities. There are lots of businesses and establishments to shop and dine, but as a quiet town, there’s not much to say about nightlife in Conroe. However, its convenient location means that Conroe residents can easily go to one of the bigger cities for the night and come back in no time to their cozy Conroe home. With beautiful wooded areas and tree-canopied roads, Kingwood is a haven for nature-loving Houstonians. The feel of the neighborhood is largely different to those in Houston’s mostly metropolitan areas, and it is this unique environment that makes Kingwood residents love their place so much. Gorgeous natural trails coupled with a healthy number of eating and shopping options allow people living in Kingwood to enjoy a high quality of life, and its popularity in Houston’s real estate market continues to grow day by day. Atascocita may not be topping every list of the hottest places to live in Houston, but this up and coming neighborhood sure offers everything a resident needs — and then some. With good options for modestly priced homes, Atascocita is steadily growing to become an attractive location for Houstonians looking for a new home. There are a decent number of dining and shopping options in the city and a few activities as well. But while development of more entertainment and cultural establishments are underway, Atascocita residents can easily jump over to the major cities because of the neighborhood’s good location. Fall Creek is a sprawling master planned community that is just 15 miles north of downtown Houston. Like most master planned neighborhoods, Fall Creek has a variety of housing styles and sizes at different price points on offer and is a great option for anyone looking for a comfortable home that fits their needs, budget, and lifestyle. 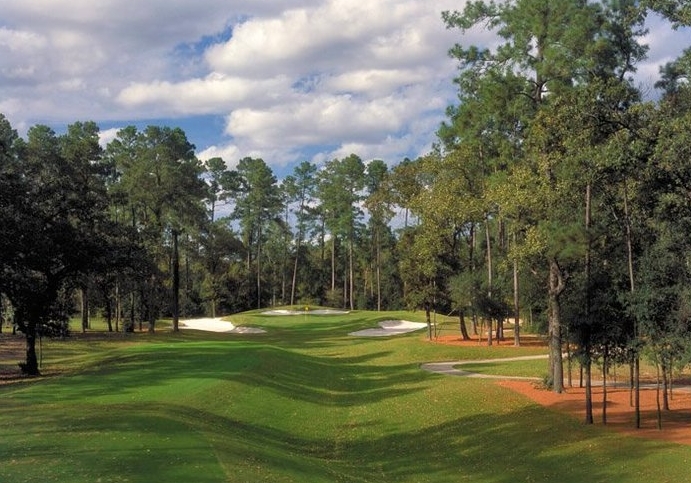 One of its biggest attractions is a large golf course, The Golf Club of Houston. Fall Creek is mostly residential, but there are plenty of options for dining, shopping, and entertainment on the edges of the community, and it’s just a short commute away from other major Houston cities. Generation Park may be a newcomer in Houston’s list of best neighborhoods, but it’s certainly one of the most promising ones. This 4,000-acre commercial park is on its way to becoming one of Houston’s most sought-after neighborhoods. With the rise of Redemption Square, Generation Park’s lifestyle district, future homeowners will get access to their pick of luxury apartments, class A offices, hotels, shops, restaurants, and daily services. For now, potential buyers of property in Generation Park can look at 255 Assay, the first luxury apartment building to be built in the community, which is slated to open mid-2019.